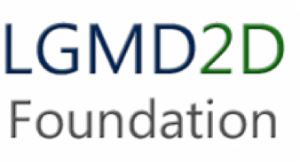 The International LGMD2D Patient Registry is free to join and is currently the only database for patients diagnosed with LGMD2D. It is highly recommended that anyone with LGMD2D joins the patient registry – once registered, you will receive email updates with clinical trial opportunities. To be diagnosed with LGMD2D, a genetic diagnosis is required to confirm the presence of mutations in the alpha-sarcoglycan gene. Undiagnosed individuals with a muscle problem can take a quiz here to see if you qualify for free genetic sequencing sponsored by the LGMD consortium of foundations. Please note that currently, only US residents are eligible for free sequencing.